In 2007, National Shipping of America was founded by Dr. CC Chen for the purpose of promoting ocean transportation services for the domestic USA trades. Bridge photoBuilt upon his success with the founding of WanHai Lines in 1965, Dr. CC Chen formed a team of industry experts to explore opportunities in contiguous and noncontiguous trades in the USA that would lend itself to a cleaner, safer, and more fuel efficient mode of transportation. The management team is led by Torey Presti, a 30 year veteran of the ocean liner and container industry with senior executive positions with APL, Gulf Pacific Lines and has managed NSA since inception; Arlene Heeneman, with over 20 years in the industry and a long history of senior positions with general agents as well as Madrigal-WanHai, Transpacific Lines, Gulf Pacific Lines and manages the “backroom functions” of NSA. The new venture is supported by a national team of executives with more than 150 years of collective industry experience. 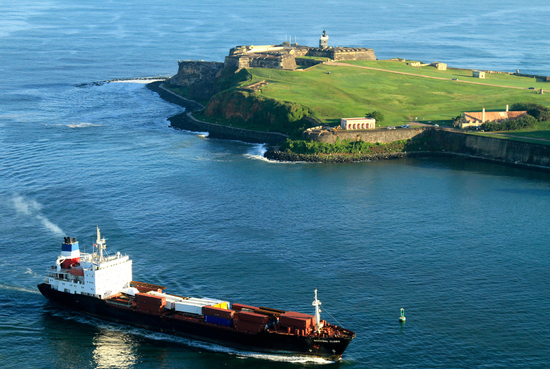 Congestion-free terminals in Houston and San Juan provide quick turn times and value-added cargo handling services. As a member of the Maritime Administration’s American Marine Highway coalition, National Shipping of America remains a strong advocate of the American Merchant Marine and the development of domestic trades. In September 2007, National Shipping launched the MV National Glory; a ‘coastwise endorsed’ American Flag, 570 teu container ship that is one of the more modern vessels that enjoy Jones Act trading rights. She is powered by a slow speed diesel main engine that consumes low sulfur fuel making her environmentally friendly. The National Glory has 96 refrigerated plugs plus the capability of loading 20’/40’/45’ containers. 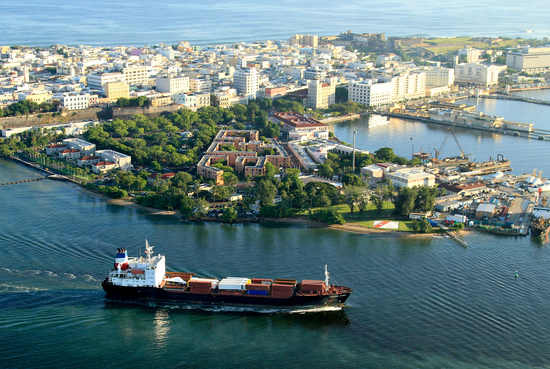 After five years on charter supporting the USA efforts in both Iraq and Afghanistan, NSA decided to establish a fortnightly service between Houston, Texas and San Juan Puerto Rico. Service will commence in May of 2013. NSA’s general agent is Norton Lilly International for both the US mainland and Puerto Rico.